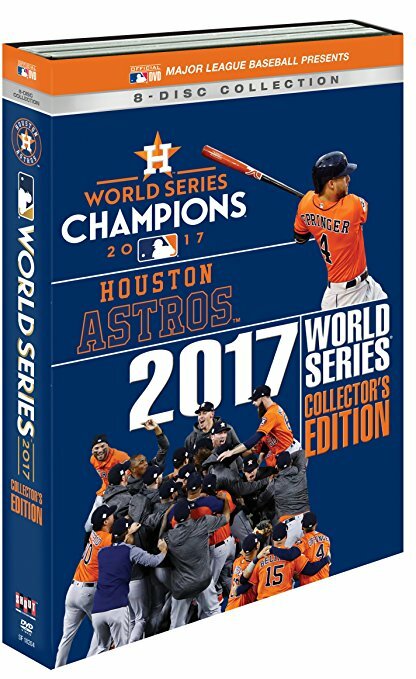 Complete game television broadcasts of all seven games of the World Series between the Houston Astros and Los Angeles Dodgers. George Springer hits five homers to lead the Astros to the first championship in the team's history. Bonus disc includes the pennant-clinching ALCS Game 7. 8-disc set on DVD or Blu-ray.